DDSTUDIO, whose human-centered design work focuses on the end user in context, congratulated clients InfoBionic®, Hologic® and IntelliGuard® for each winning a Medical Design Excellence Award (MDEA) Tuesday, 6/12/2018, at the Medical Design & Manufacturing (MD&M) East conference in New York City. The awards recognize design and engineering that improves the quality of health care delivery and accessibility. 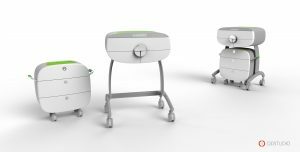 Only once before has a design firm had three client products named as finalists in one year for the prestigious award. 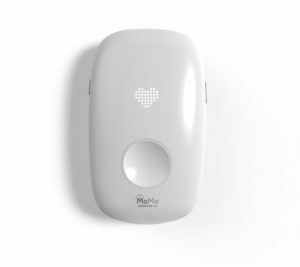 InfoBionic’s MoMe® Kardia System, a wearable, ambulatory cardiac monitoring system designed for users with transient symptoms of arrhythmia, won a gold award in the Cardiovascular Device category. Its sleek, unobtrusive design allows it to be worn comfortably and correctly all day, without interrupting the user’s routine or activities. It provides reliable, detailed data that doctors can access when they want, allowing for real- time diagnosis. In January, the market-shifting MoMe® won a Good Design. 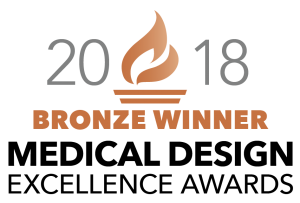 Hologic’s Panther Fusion® won a bronze award in the Testing and Diagnostic Products and Systems category. 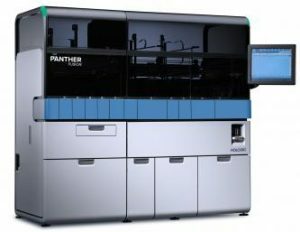 The modular, field upgrade to Hologic’s fully automated Panther system combines PCR and TMA molecular testing on a single platform designed for intuitive operation, enhancing a laboratory’s flexibility and amplifying productivity. 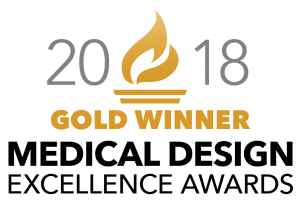 IntelliGuard’s Linked Visibility Inventory System™, (LVIS™), won a bronze award in the Nonsurgical Hospital Supplies and Equipment category, is the first real-time medication management system that operates at the point of care. Designed for the anesthesiology team working in a hectic operating room, it uses patented RFID technology to track medication uses as they occur and manage regulatory and narcotics control, while ensuring expiration and recall issues are properly dispatched, all out of sight from the point of care. LVIS™ won a Good Design Award earlier this year. The awards are judged by an impartial, multidisciplinary panel of expert jurors comprised of a balance of clinicians, engineers, and designers.